Never in history was it as clearer that transformation is the only constant in our lives. It is present in the way that we conduct our business, in the way that we work, educate ourselves and behave. What we knew about leadership is not applicable anymore, businesses are reinventing themselves, „sharing” economies are rising in popularity and AI is reinventing the rules of the game. All of these changes are taking place in a world where people’s trust is weak, and the globe’s population continues to grow exponentially. Millennials are looking for a completely different type of motivation, one we do not know how to offer yet, and our employees are orientating themselves towards jobs that no longer fit the classical schedule and logic. Organizations: the decline of classical management, generational change in motivation, weak levels of trust in the future, our institutions and us. Technology: AI implications for business, investment opportunities in the technologies of the future, digitization and automation as growth instruments in businesses. Changes are happening fast, so we have little time to understand and build our future upon their evolution. In a world where our certainty is replaced by flexibility and adaption, the best instrument we have at use is our capacity to purify the enormous amounts of information and keep up with the global dynamic of change. 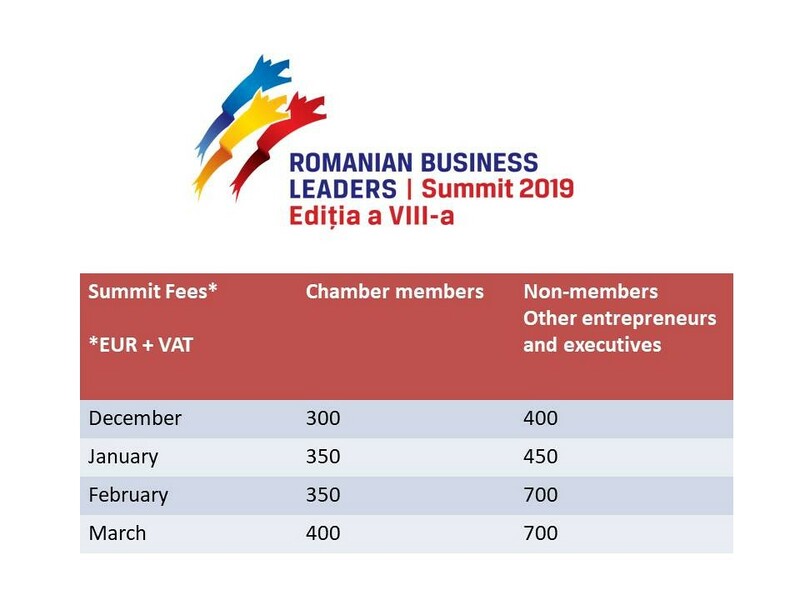 At the Romanian Business Leaders’ Summit on the 13th and 14th of March 2019, we are putting together a map of the most relevant changes that we experience, thus finding the key to deciphering them. 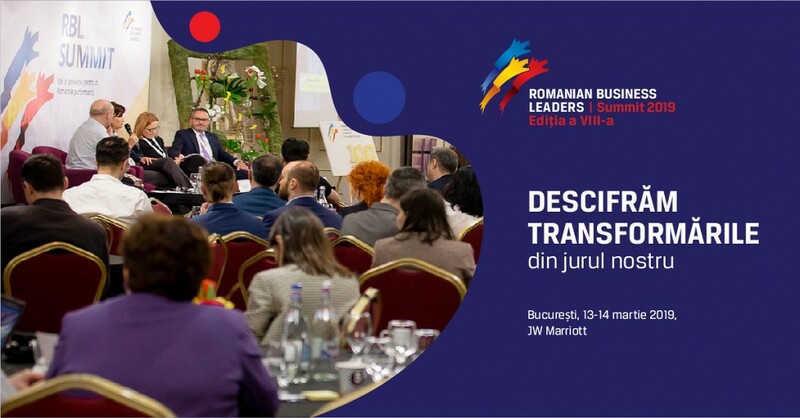 Based on our good collaboration and tradition, we are pleased to invite AmCham members to join the Romanian Business Leaders community at our central annual event. For registering, you can complete the form here. For more information, please contact us at alina.burlacu@rbls.ro or at +40 738 755 013.